Muddy Colors: Eowyn and the Nazgul... REMINDER! 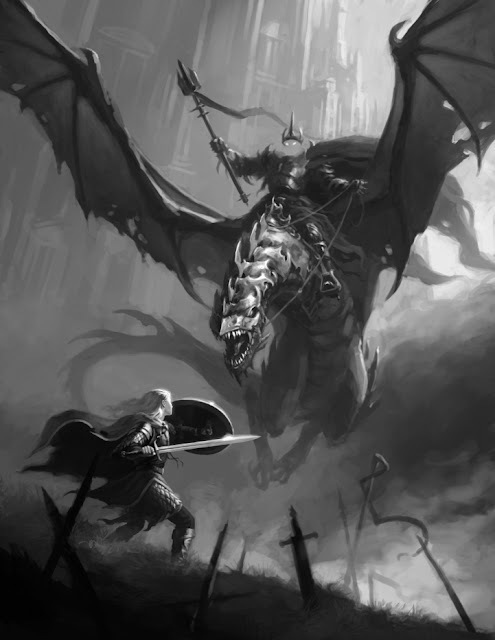 Eowyn and the Nazgul... REMINDER! If you guys haven't been keeping up with the Eowyn challenge, you're missing out! We are just about half way through the deadline, and the first round of crits starts tomorrow. If you haven't started yet, it's not too late! You still have today to get a rough sketch in for critique.